Avocados contain small amounts of sugar- fructose, glucose, and galactose in comparison to other fruits. Due to their low sugar content, avocados do not raise blood sugar levels to a great extent. Avocado has a substantial amount of 4.5 grams of fiber which is capable of regulating appetite, feeding the friendly bacteria in the gut, and reducing the risk of many diseases. Filled with monosaturated fatty acids- a great source of healthy fats, Avocados have a protective effect against inflammation, diabetes and heart diseases. 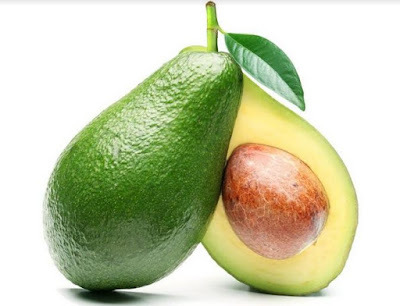 For pregnant women, Avocados are essential for normal cell function and tissue growth as it contains 20% Folate (B9) of the required dietary allowance. When it comes to blood pressure control and heart health, Potassium is an essential mineral and avocados actually contain 14% of this beneficial mineral compared to bananas. Avocados contain 17% of Vitamin C, an important antioxidant for immune function and skin health. Avocados contain various carotenoids like zeaxanthin and lutein’ which are beneficial for eye health and can reduce the risk of age-related eye diseases. Persenones A and B: Avocados contain these unique antioxidants that may protect the body against inflammation and cancer. Arthritis is the progressive deterioration of the joint cartilage. Avocado oil (33%) and soybean oil (66%) are primarily used to suppress and finally treat symptoms in people suffering from arthritis, especially in the knee and hip area. As well as increasing feelings of fullness, the oleic acid in avocados can help reduce cholesterol levels. High cholesterol is one of the main risk factors for heart disease. The cholesterol-lowering properties of avocado, along with its folate content, help keep your heart healthy. Increases longevity: Xanthophyll, a powerful antioxidant helps in decreasing signs of the aging process on different parts of your body.Avocado is one of the fruits which contains this antioxidant. Avocados are high in fat, but these are the “good” polyunsaturated and monounsaturated fats that are healthy for skin. Polyunsaturated fats keep your skin protected from sun damage and inflammation. Monounsaturated fats keep the top layer of skin moisturized so that it’s healthy and safe from premature wrinkles.